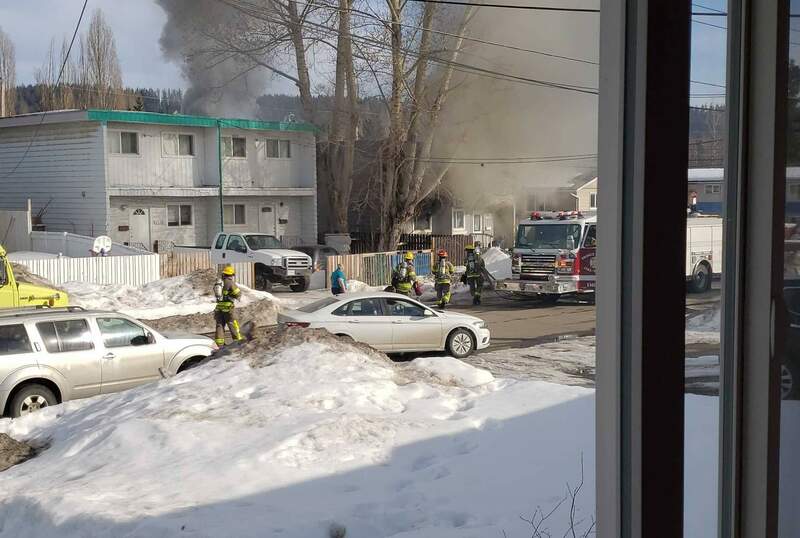 Prince George Fire Rescue responded to a structure fire in the 2100 block of Oak Street this afternoon (Friday) at 4:30. Crews found a duplex with flames and smoke coming from one side of the structure. Damage has been estimated at $150,000. A fast attack knocked the flames down and stopped the fire from spreading to the other side of the duplex. Occupants were home at the time of the fire and were able to escape without injury. There were no injuries to the firefighters but two of them were checked over by BC Ambulance for heat exhaustion. 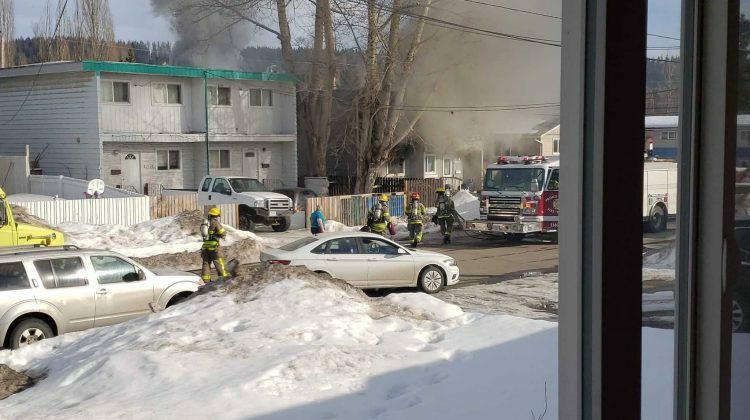 Emergency crews are on scene at a structure fire (that began late this afternoon) at a duplex on Oak Street, near Strathcona in the VLA. There is no information on how the fire started as of yet.